Brussels (AFP) - Belgium's former world cycling champion Claude Criquielion is fighting for his life after suffering a severe stroke on Monday morning, organisers of the Grand Prix Criquielion have announced. The 58-year-old is in a "desperate state" and has been hospitalised in Aalst where he is in critical condition, according to several Belgian dailies including L'Avenir and SudPresse. Criquielion was a professional road racer between 1979 and 1991 and won the world road race championship at Barcelona in 1984. He nearly added a second title in 1988, at Renaix in his homeland, when he was leading a sprint finish down the stretch only to be knocked over by Canadian Steve Bauer which allowed Italian Maurizio Fondriest to go on and unexpectedly take the rainbow jersey. 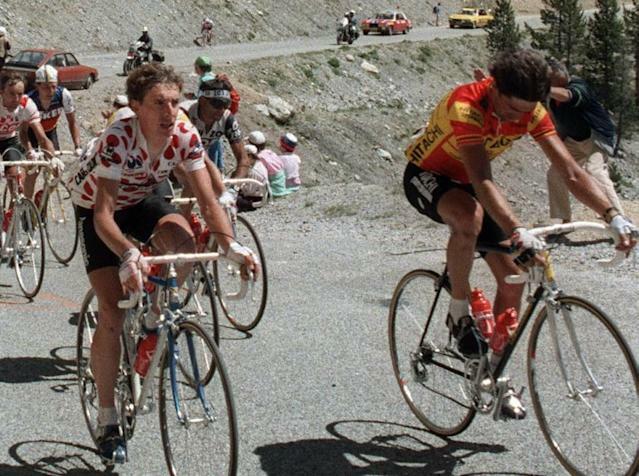 Criquielion, whose best finish in the Tour de France was fifth in 1986, also won the Belgian championship in 1990 as well as the 1987 Tour of Flanders and Fleche Wallone in 1985 and 1989.